A key enabler in becoming a digital enterprise is the core technology upon which your company runs. With such a platform your business will be more agile and responsive to its customers and competitors. 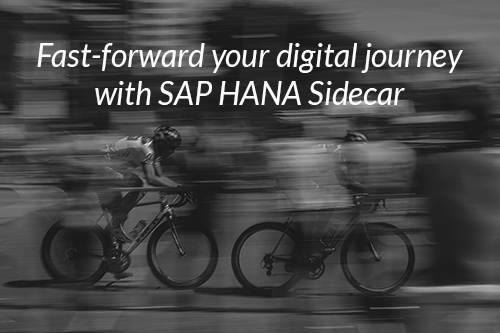 Download this recording to hear from our digital experts Matt Potts and Matt Riches and learn how SAP HANA sidecar can accelerate your journey to a digital enterprise.